Are you planning on an interior restructuring of your premise? If you are worried about how to discard the piled-up debris in a hassle-free manner, this article is the right for you. To best way to dispose of the trash that gets accumulated after you attempt an interior demolition is by hiring a roll-off dumpster. This article will focus on the tips and suggestion that will prove fruitful in this regard. You may want to renovate your bathroom, patio or most likely your kitchen. To make both your demolition and rental experience super successful, here is what you should do. Know why not to use a trailer? You might be aware of trailers that are common for the disposal of garbage. Local contractors mostly refer to these. However, if you think of mid-sized projects, like that mentioned above, these trailers may not suffice. You would then need mini dumpsters for the same. They not only go easy on your budget but also deliver a convenient clean-up. If in one hand you choose a trailer service for $200/haul. That would mean that if it takes more than one haul, you have to pay $200 for every additional trip. And, mostly you never know how much extra debris may suddenly add up to your estimation. An underestimation may leave your pockets empty. On the other hand, you can book a big size dumpster and finish off the entire disposal process at one go. Also, you have to pay once for a specific time period. In a nutshell, a roll-off gives you more option, space, and tenure. The payment is inclusive of the charge of the container along with the mileage. The only thing that you need to take care of is estimating the volume of trash. How to estimate the right size? When it comes to choosing the correct size of the dumpster, most of you end up in a wrong judgment. Every dumpster rental in Austin offers multiple size variations for the different requirements of their clients. The following list will give you a rough idea of the proper sizes that you may require. However, this is just an approximation, and you are requested to use your discretion wisely. As you all know you can rent a dumpster from sizes ranging between 5-40 cubic yards. Though many companies prefer to keep containers starting from 10-cubic yards. A 10-yarder is a perfect size if you have to remodel a small-sized bath. In other words, you can use the same for remodeling half of a big bath. A 20-yarder is the perfect size for a full large bathroom remodeling. Also, it is enough for a small kitchen area resurfacing. A 30-yarder is the perfect size for a medium size kitchen. Similarly, for a mid-size room modeling, you can use the same. Lastly, a 40-yarder should be rented for a kitchen with a large unit area. The same serves perfect for a large size room remodeling as well. The measurement for a small full bath is taken here as 5ftx5ft. Whereas, the dimensions of a large full bath is taken as 10ftx10ft. Also, a small modular kitchen is presumed to hold a smaller number of appliances. In case, you feel your kitchen has more appliances as per the area; you should go for a larger roll-off. If you are thinking of a major renovation, then a 40 yarder is the right size for this project. Such projects will generate bulkier and voluminous trash, and that means the trash container has to be more spacious. Now, this is something that not many of the clients are aware of. You must think about why you should know how a roll-off rental works. This is because if you know their working scheme, you will ensure a smooth operation of your disposal job. You would get an overview of their pricing system. You book a contract with a company, and they deliver a container at your desired location. After you have collected the trash, you dump all of it in the roll-off. It is time to carry the trash to a landfill. In some cases, you can even send them for recycling. But before that, they weigh the total volume. If the total weight exceeds the quoted amount, you are liable to pay extra charges. This is also called as an overage fee. The rate of the overage fee is somewhat in between $50-$100/ton. If your renting tenure is still remaining, then the dumpster is resent at our place. The process is repeated until you reach your final date. If you still need an extra day, you can extend the deal by proper payment. Clients believe that pricing is only related to the size of the container that you are about to rent. Well, if you too have the same opinion, then you are partially correct. The dumpster rental fee is decided upon three factors. Have a look at these factors. The size of the dumpster is indeed the primary reason. Depending on the size, you will be charged. This follows the conventional mechanism. The bigger the size, the more is the price. However, instead of booking two 10 yarders, it is smarter to choose a 20 yarder. The dumpster has to carry your load to the landfill for proper disposal. Hence, the pricing is also dependent on this factor. Every local area has its own fixed rate as its disposal fee. Find out the rate of your locality from the official website of waste management as per area. Hopefully, you will be able to find the right company that will proffer you a good deal and a good experience. Fix up an ideal deal, as now you know how things work. Good luck. 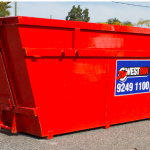 Tips To Hire a Skip Bin Service?